How dare the critics criticize the work you created? So much of success is about doing things that are out of your comfort zone. About trying new projects, being creative and taking on more responsibility than ever before. 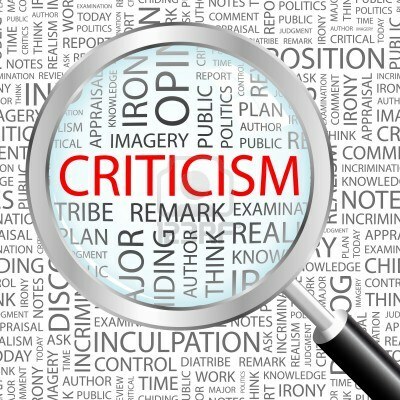 But the problem is that fear of the response from critics keeps us from doing it. The smartest MBAs become afraid that they didn’t format the slides quite right. The sharpest law firm associates afraid they have typos in a memo. And the smartest kids in class, nervous about getting a algebra problem wrong in front of everyone. All enough to keep the from putting themselves on the line or speaking up when it matters. All because the critic might say, you are wrong, you made a mistake. It’s the same concept society used to keep women in their place for decades. The same one that is used to tell the underclass that they don’t have a say. The same one that makes you feel like you don’t have the right to speak up at meetings. Or tell your boss when they’ve got something wrong. So we hide instead of speaking up. We add qualifiers to our answers and put extra words in our work to distract everyone from what we really want to say. And over time it becomes second nature. It’s far easier to add another 50 words. And another 50 words. And a few more lines to distort our message. Rather than just stand up and say the 5 words that we believe. And in the end, the critics have kept us from doing our best work. The problem is that so much of success is about doing things that are out of your comfort zone and things that have never been done before. We just have to find ignore the critics and move on. Hard, but worth getting better at.